Here we are going to share with you the latest version IOS 12 offline download links for all the latest Apple devices if you have info about the build no then download the latest version of IOS for your device. iOS 12 is designed to make your iPhone and iPad experience even faster, more responsive, and more delightful. 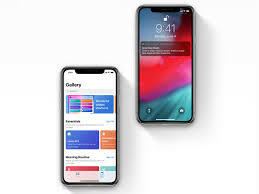 Here are the latest features and improvements in the world’s most advanced mobile operating system work 2x faster and save your smartphone battery and many more features you will found after updating IOS12. HOW TO OFFLINE UPDATE iPhone WITH IOS 12? FIRST OF ALL BACKUP YOU DATA ON YOU PC. THEN POWER OFF YOU PHONE AND WAIT FOR 30 SECONDS AFTER POWER OOF. THEN OPEN I TUNES (LATEST VERSION MUST BE INSTALL)ON YOU PC THEN CONNECT USB CABLE WITH YOU PHONE HOLD ON THE MENU BUTTON YOU PHONE GO IN TO DFU MODE AND ITUNES WILL START SEARCHING THE LATEST UPDATE ON ITUNES UPDATE SERVER THEN YOU WILL FIND TWO OPTIONS UPDATE AND RESTORE IPHONE CLICK UPDATE BUTTON WHILE PRESSING SHIFT KEY ON KEYBOARD AND SELECT YOU IPSW FILE AND THEN WAIT FOR 10 T0 15 MINUTES YOU IPHONE WILL BE UPDATE.